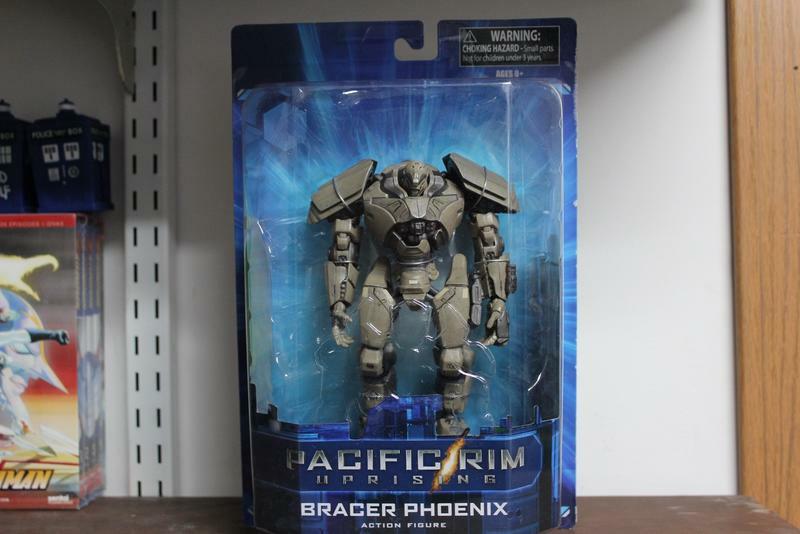 Pacific Rim Uprising is making its way to theaters in March, but the toys have already arrived, and while they look great, they aren't without some shortfalls. 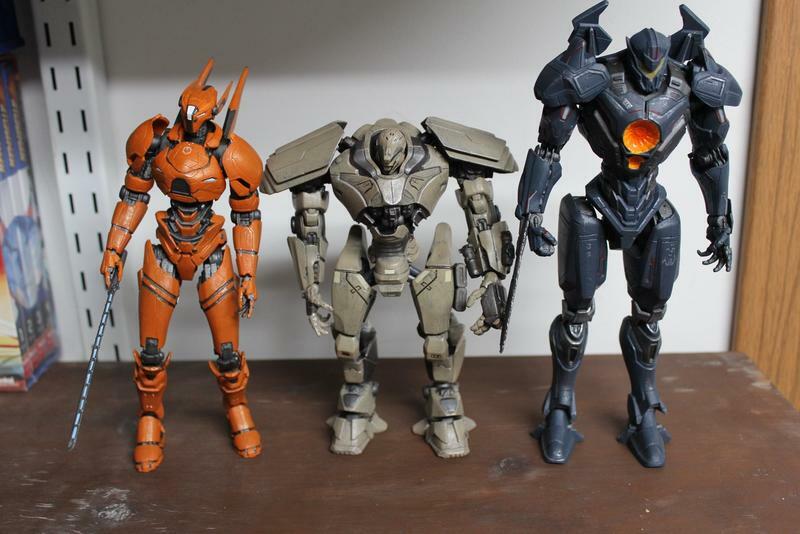 Diamond Select provided us with the mass-market versions of the first three Jaegers to be released from the second Pacific Rim movie. There is a difference here as the specialty shop versions will come with more accessories, but these are the same basic figures. 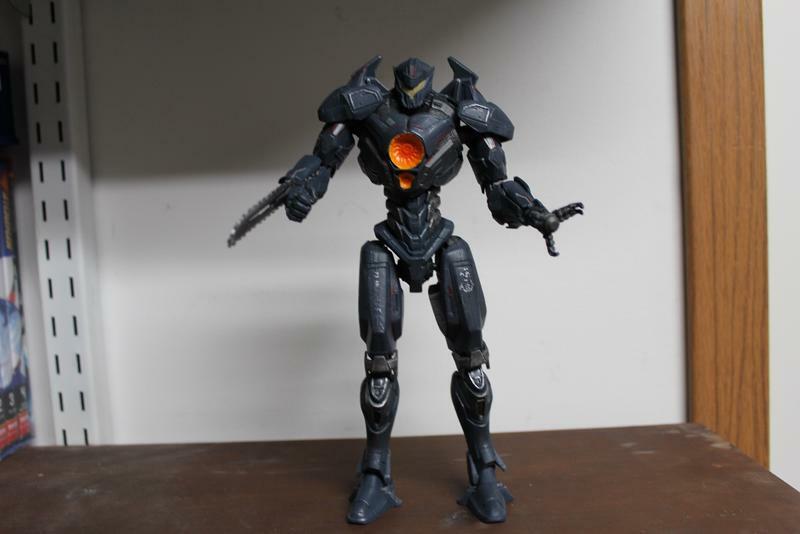 The first three figures to be released include Gipsy Avenger, Saber Athena, and Bracer Phoenix. 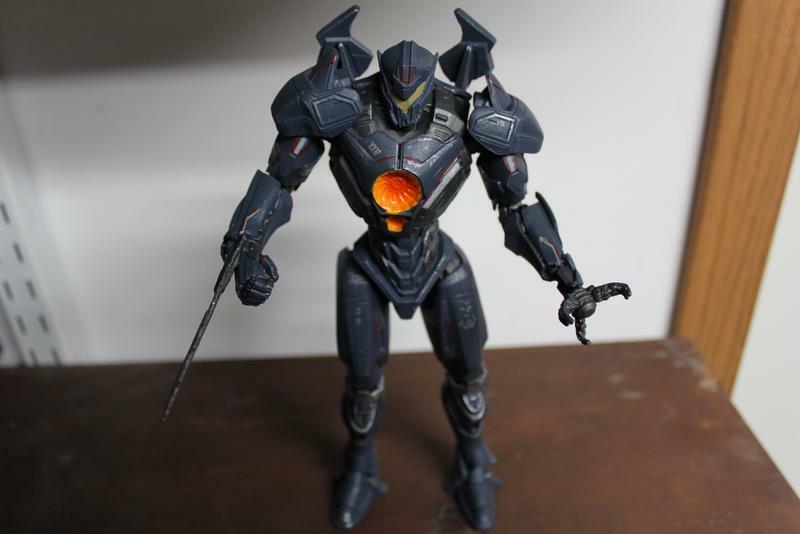 Judging the basic sculpts, and only having the trailers to go by thus far, Diamond has nailed the overall look of the new Jaegers. 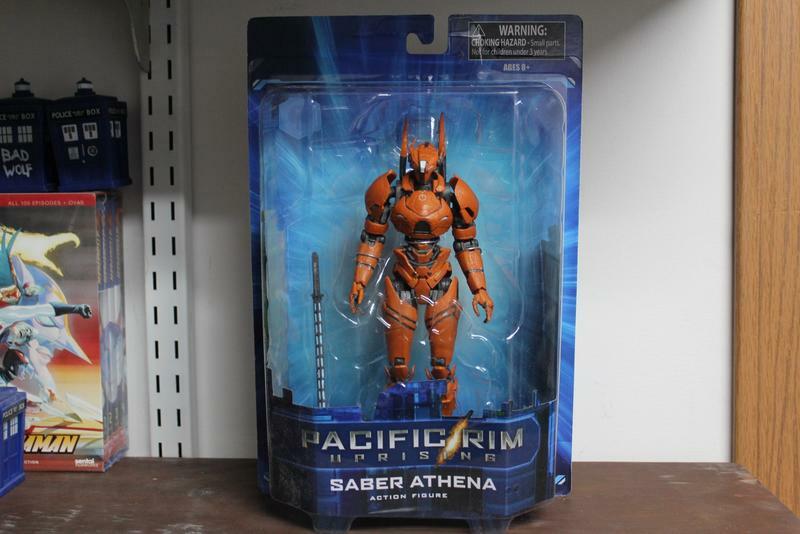 While I have some significant issues with the visual look of Saber Athena – it looks like it would be more at home in Neon Genesis Evangelion – that is on the film itself, and not on Diamond's rendition of the figure. 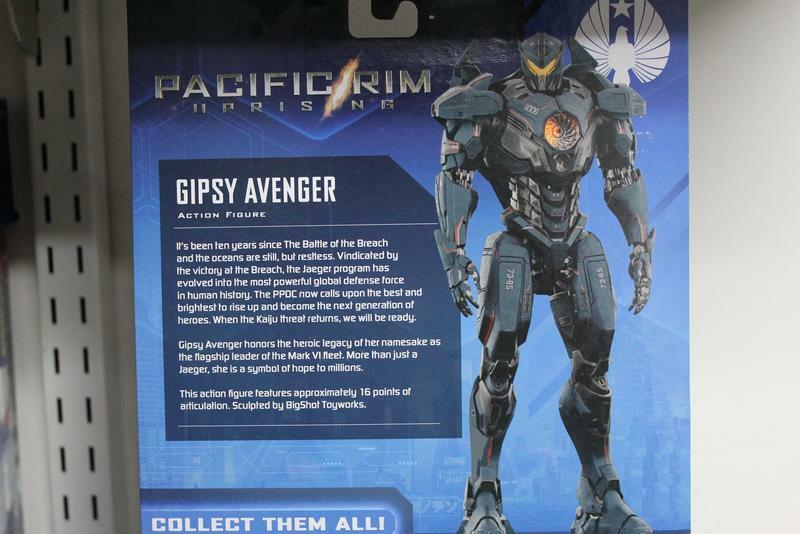 As the "hero" of the film, it makes sense that the most attention is paid to Gipsy Avenger. 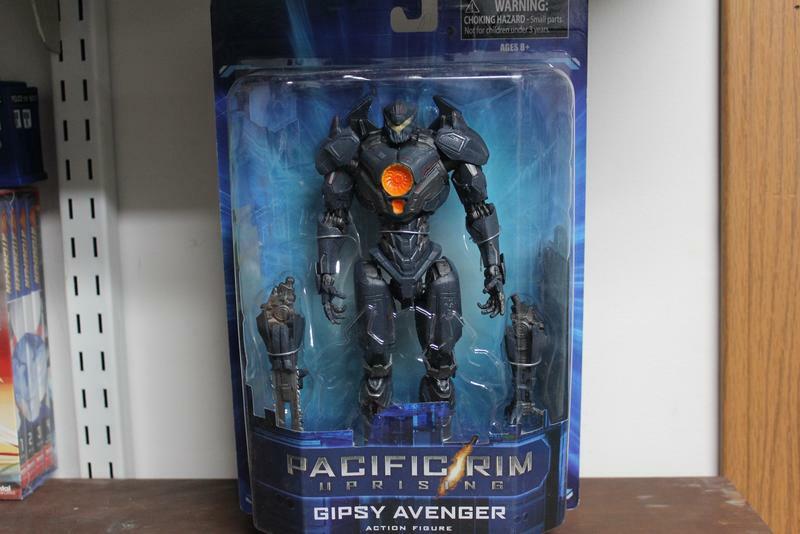 While all three of the first wave figures are well done, it definitely feels like a bit more work went in to Gipsy. 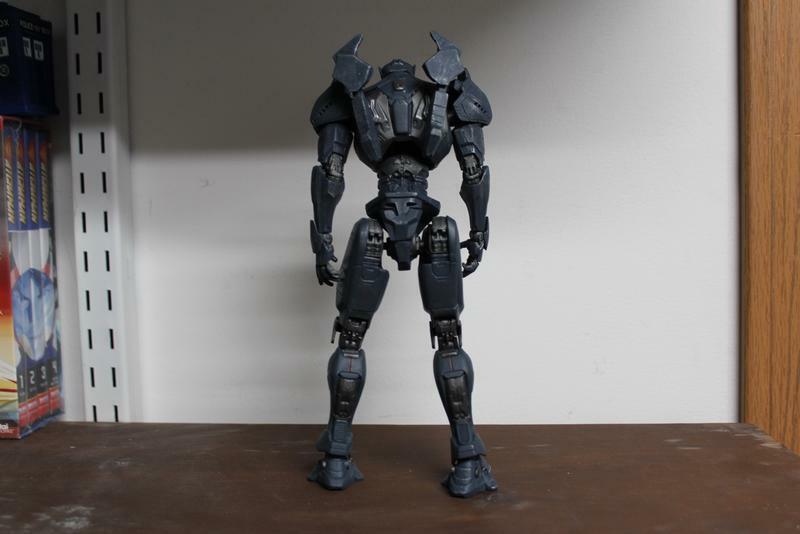 Overall the figure stands fairly well on its own, but you will need to do a bit of spacing on the legs as the torso does make it a tad bit top heavy. 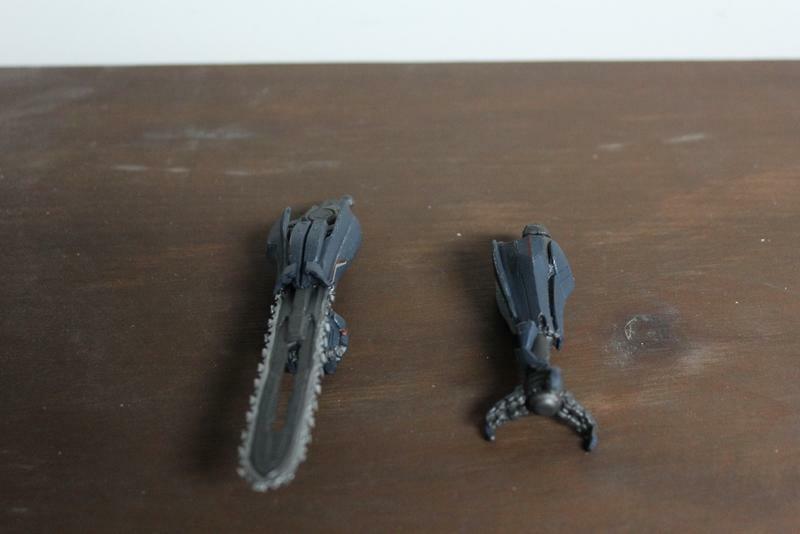 Gipsy comes with two forearms you can swap out with the right adding a chainsword and the left becoming a plasmacaster. 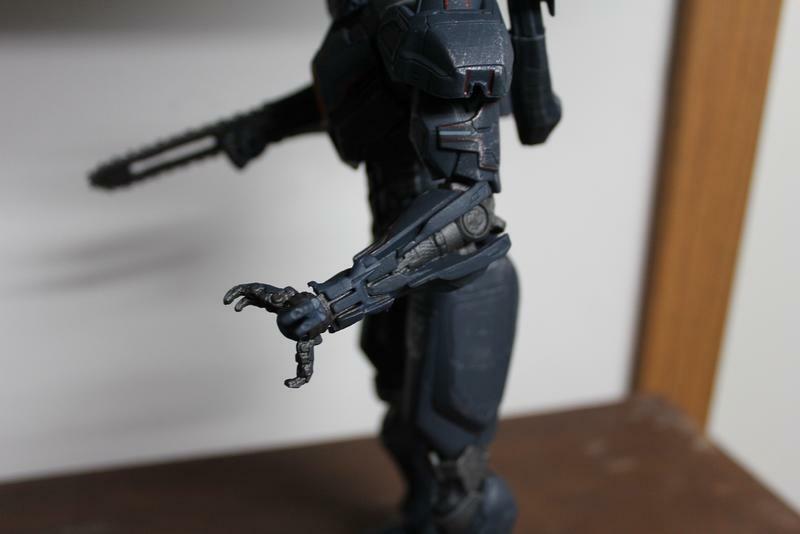 This is where a lack of any sort of figure information made me a bit nervous as the joints to pop out were hidden inside armor making it unclear on what you should pull on to pop the original forearms out. 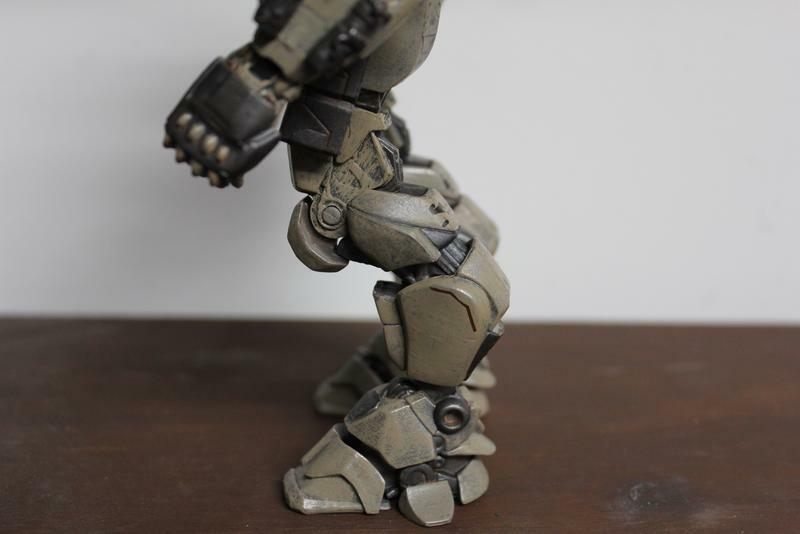 (Tip, it's the entire elbow joint, the connector is in the biceps.) The feet, while flexible at the ankle, need even more play to them. Kneeling positions were difficult, but achievable. Overall, the paint is nice except for the most noticeable area, which is the dual turbine engines. 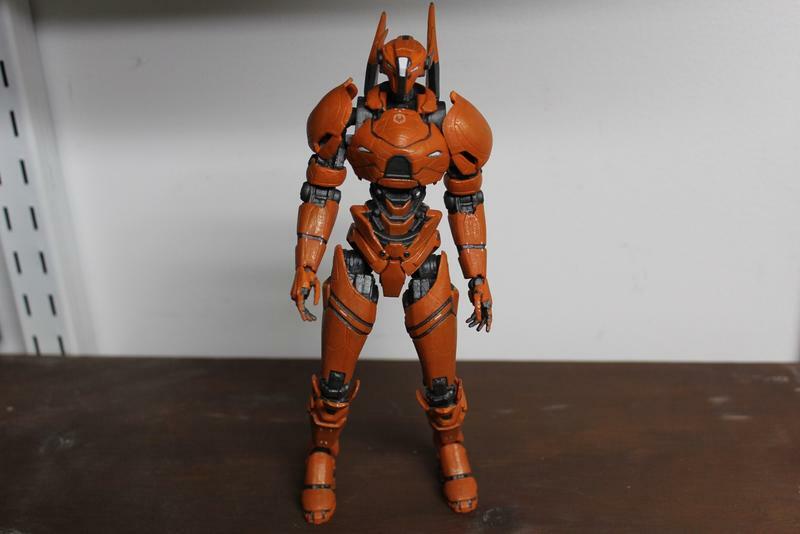 Being bright orange your eye is immediately drawn to them and it just doesn't look detailed enough, but the rest of the figure is crisp with some nice lines. 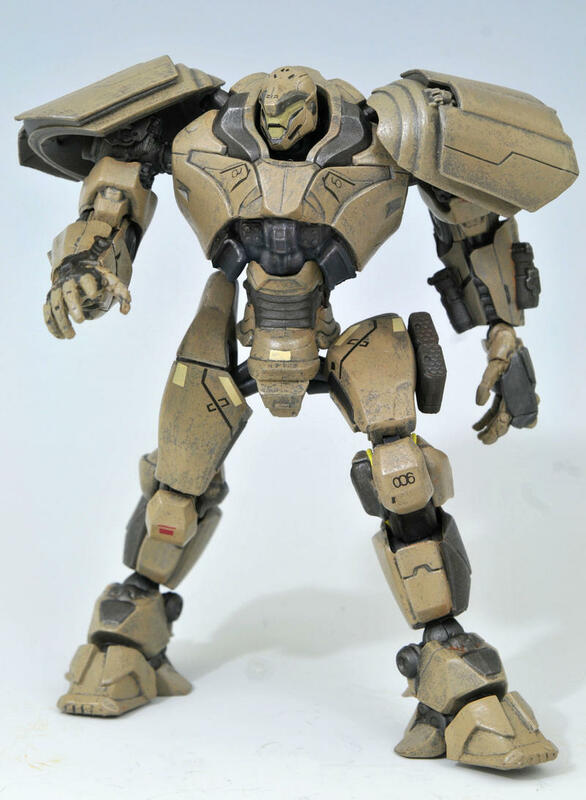 While more detailed paint always adds to the cost of manufacturing a figure, it would have been nice to see some sort of wash done here. 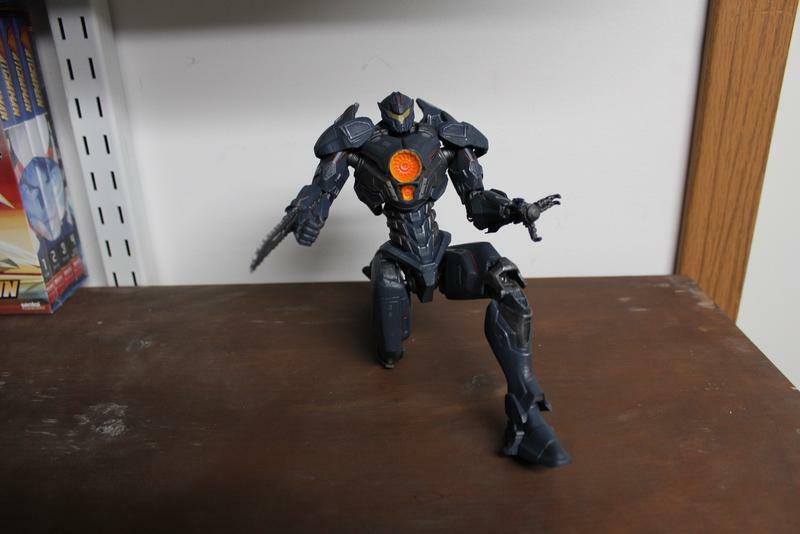 If you were to pick up only one figure from the line, Gipsy is definitely the one to go with. 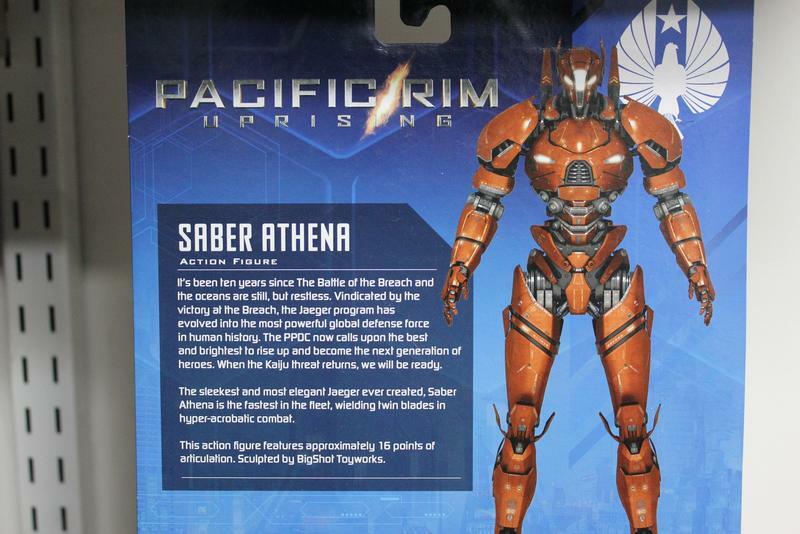 Saber Athena is a beautifully sculpted figure, but also the most problematic of the line. 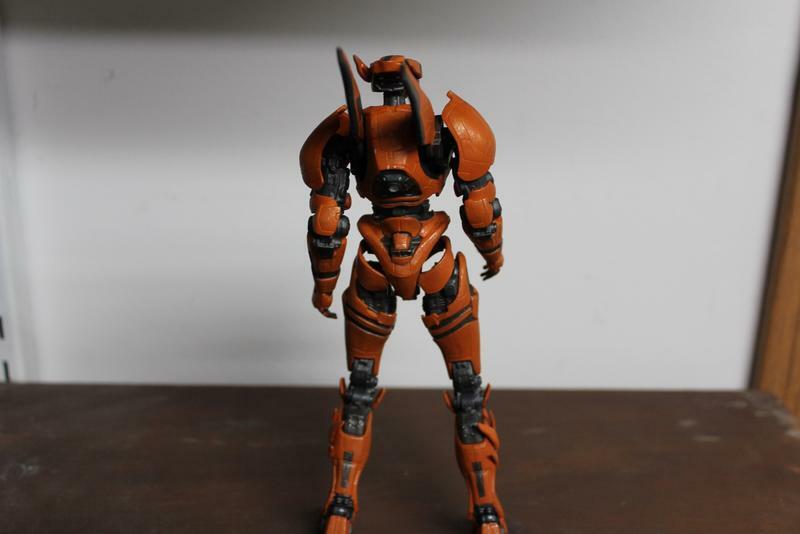 To get it to stand up in a forward pose it has to bend slightly at the knees while also making sure the torso is bent back slightly to get the right center of gravity. 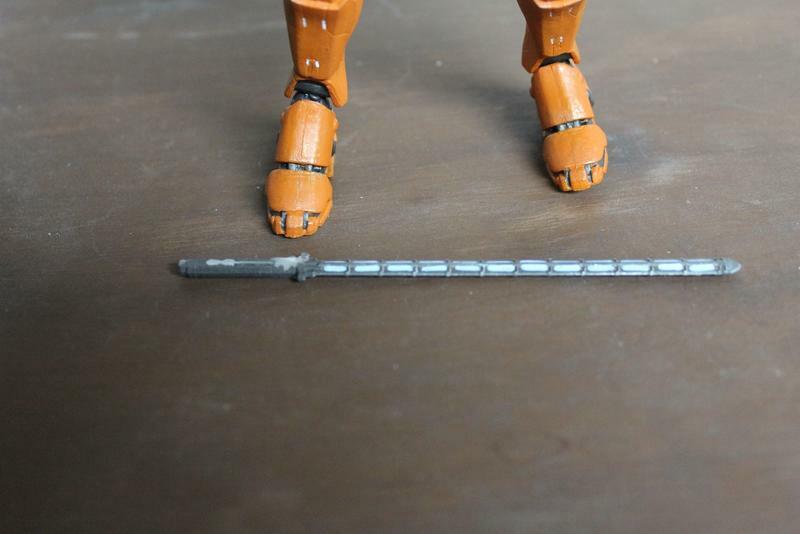 Saber does have a whopping 16 points of articulation, but four of them are almost exclusively for holding the sword. 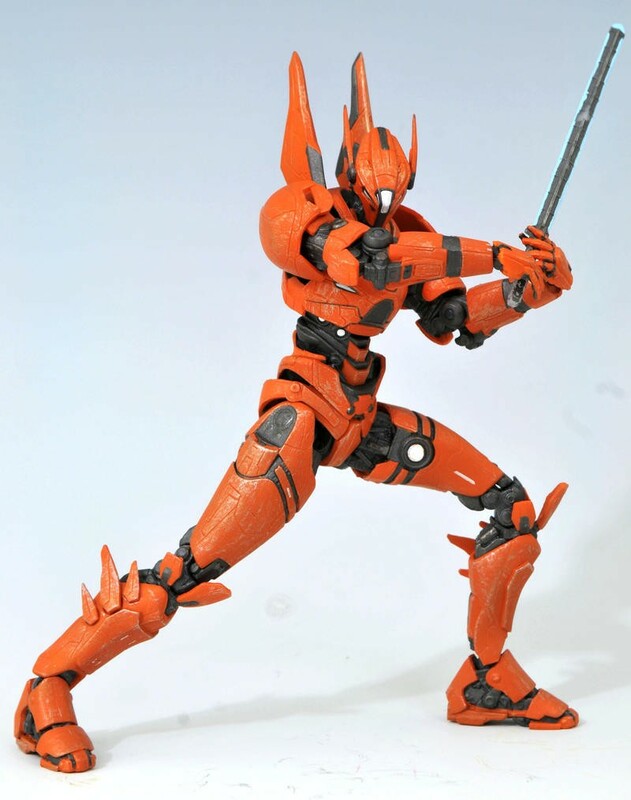 It is not possible for the figure to hold the sword one-handed for any length of time so there are twist joints on both arms just below the shoulders along with jointed wrists which means the only way it can hold the sword is two-handed out in front. 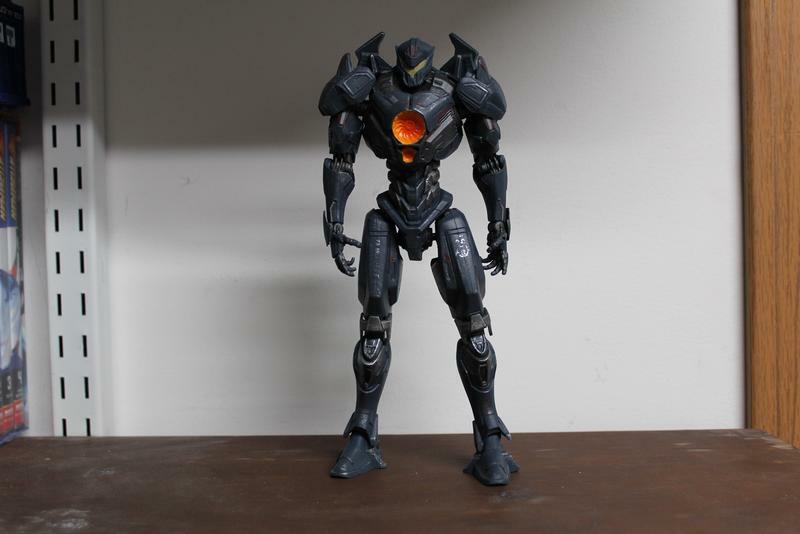 This greatly cuts down on the number of potential poses with the figure. 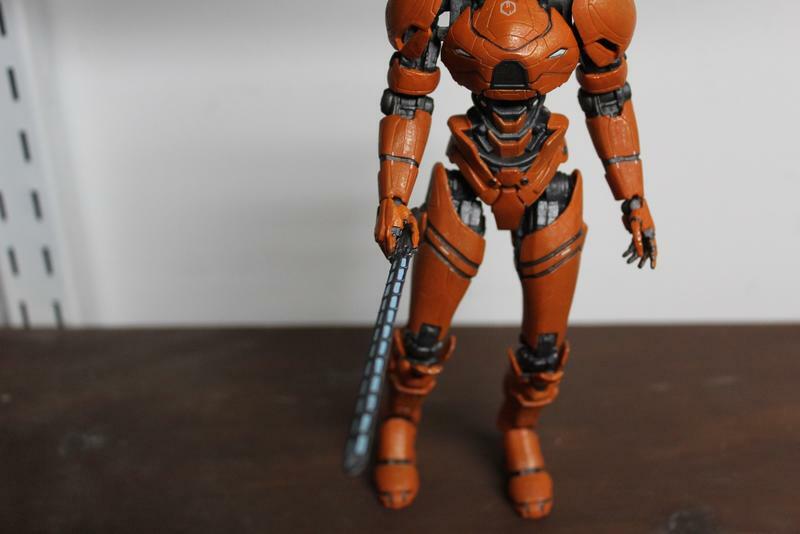 Due to the issues with standing, the limitations on the use of the sword and so on, Saber is definitely our least favorite of this initial batch of Jaeger figures. A Mark V brute that can still run with the VI's, Bracer Phoenix shoots from the cheat, with a centrifugal vortex cannon that is as spectacular as it is deadly. 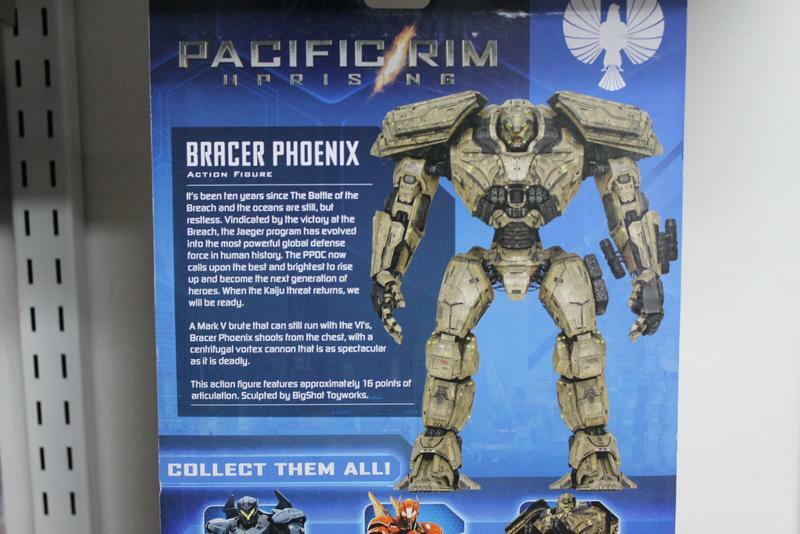 Bracer Phoenix is an odd duck in this line. 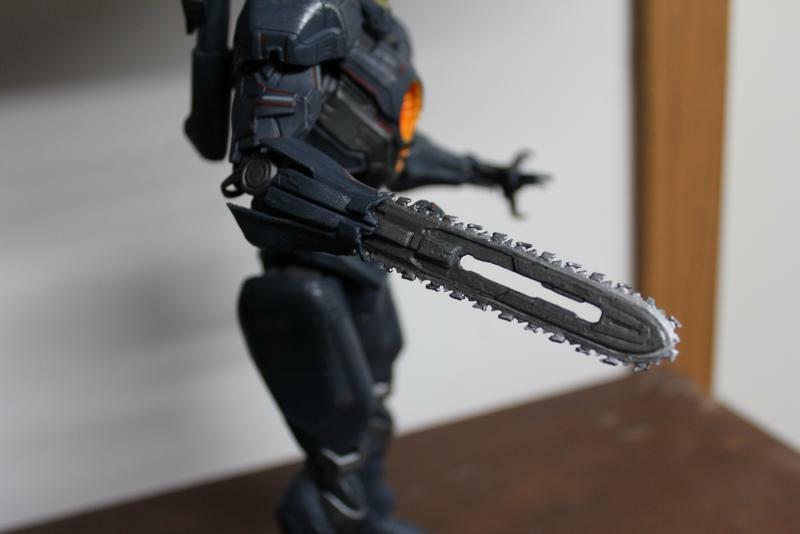 It comes with no accessories, and while having 16 points of articulation, it may also be the least poseable, but is oddly just fun to hold and play with. Perhaps because it is just a giant hunk of plastic, but you know this one is going to stand up and not fall over. What is odd is the packaging shows Bracer from the film and how the canons extend from the chest. While the barrels are sculpted into the chest, there is clearly no extension for them. They are just there and won't be going anywhere. 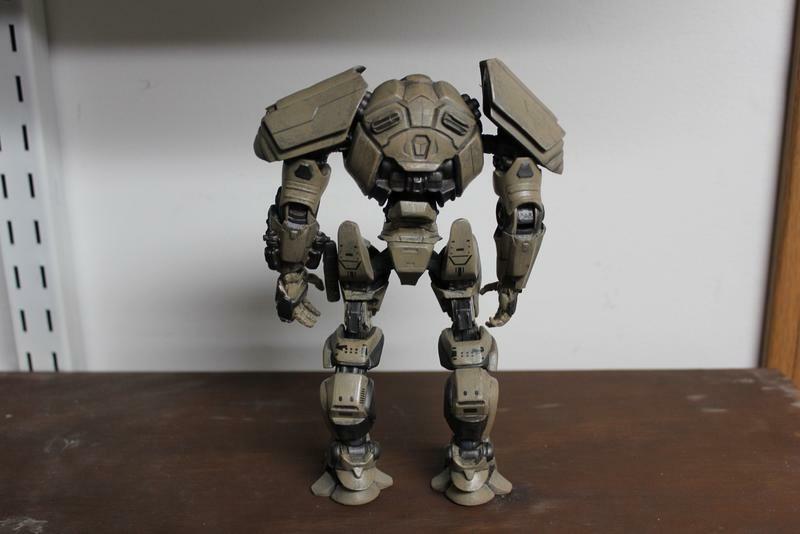 The specialty store version of the figure does have them molded in the extended position, so it's an either-or proposition for you as a customer. 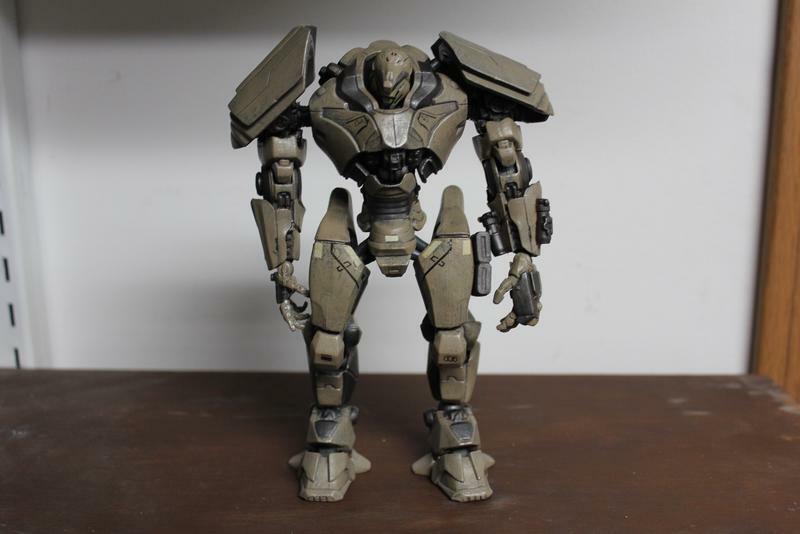 Bracer is large and in charge, but playtime is going to be brief with this one as it really has nothing to do as just a general action figure. 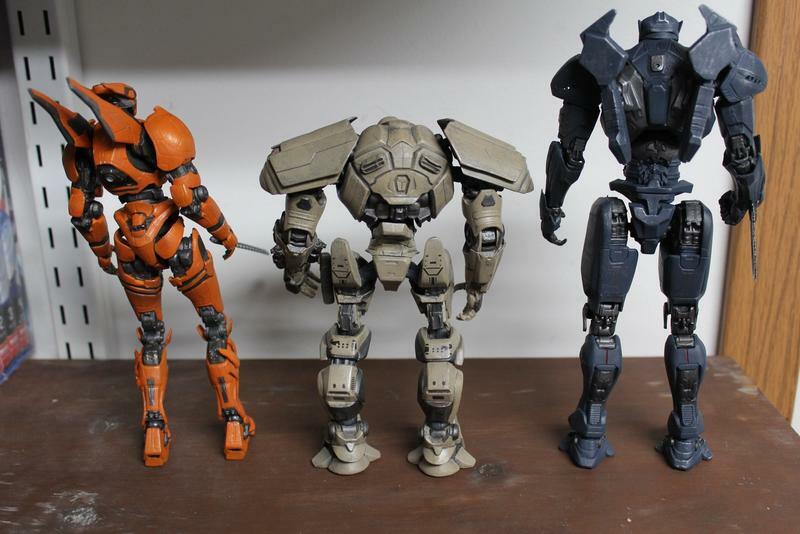 Overall these are nice figures, and they will look great on a shelf, but anything resembling prolonged play just isn't going to be realistic. Appreciate them for what they are, find a good home for them and think about changing their poses every few months.